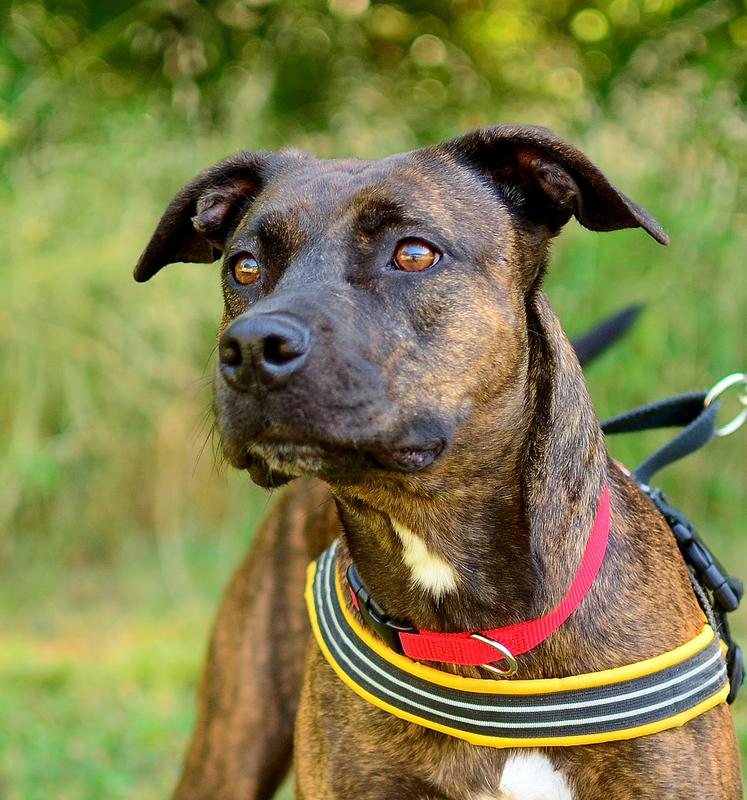 5-year-old Brinly is a dependable, good-natured, loyal companion dog. Athletic and agile, with finely tuned reflexes, she should have moderate daily exercise to maintain her splendid muscle tone. Companionship is even more important, and extensive ongoing involvement with a family or person is key for this loving and enthusiastic pooch. Brown brindled Brinly already knows how to fetch, drop the ball, and sit down. Not only is she smart, she is also a joy to be around. She will just as readily romp with the family as come inside and flop on the floor to rest. This all-around awesome dog would bring fun and joy to any home. Named after the historic Egyptian ruler, this kitty Cleopatra came to the shelter as a lost cat who could not find her way home. 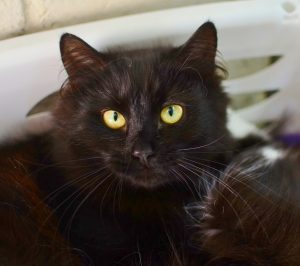 Clothed with a licorice black coat, this fluffy feline’s favorite pastime is napping. Although that is how every cat enjoys spending their time, Cleopatra takes resting seriously, just like any queenly ruler would. This elegant green-eyed girl speaks with a squeak, rather than the ordinary meow. But, again, she’s a queen and everything she does is unique and special. She loves to rub against people’s legs with her feathery soft fur, like she’s giving them a fluffy buff and polish. All are accepted in her royal court, unless it’s a dog. She insists any and all dogs stay outside and as far away from her as possible. She is a queen, you know.